Everything you need to potty train your kids. 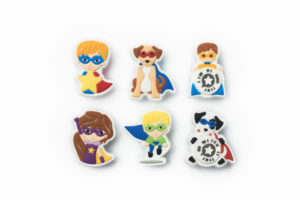 A super fun yet simple way to make potty training a success! 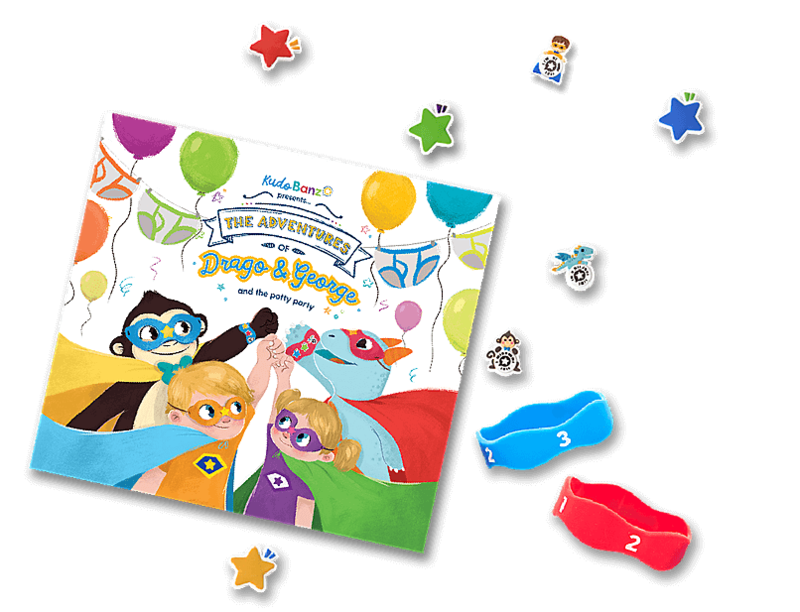 The hardcover Potty Party storybook gets kids excited about their potty adventure. 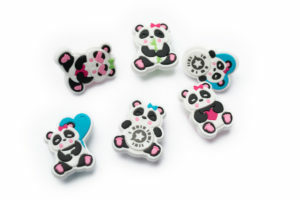 Kudo charms motivate kids to use the potty with positive reinforcement. Scan & watch them magically appear! Magical Kudos come to life with the Kudo Banz app. 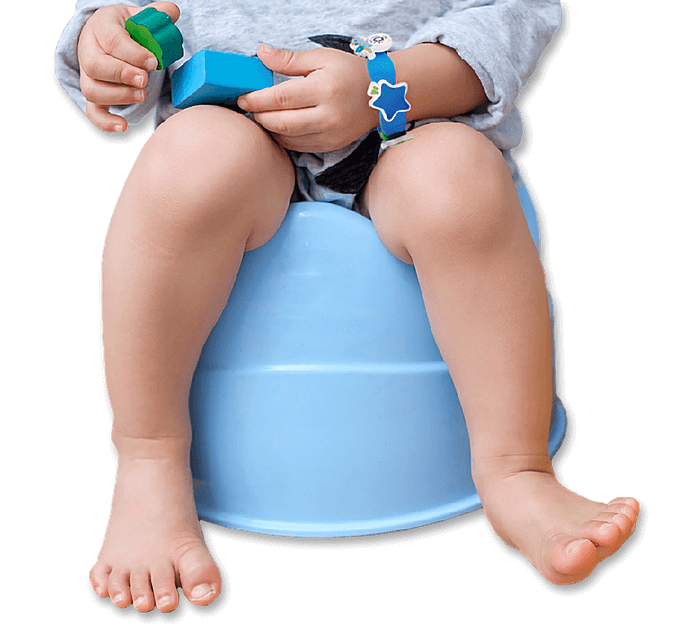 Kids can easily see their potty progress right on their wrists. The 1, 2, 3 on the bands keep them focused. Download our app FREE! The app is a magical experience that includes a customizable reward wheel. To make it convenient to use at home and on-the-go, we’ve included a carrying pouch too! 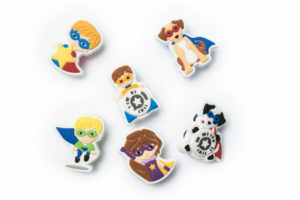 Potty training that’s easy and fun. Complete with an exciting Potty Party storybook and helpful tips for parents so you have everything you need to make potty training a success. 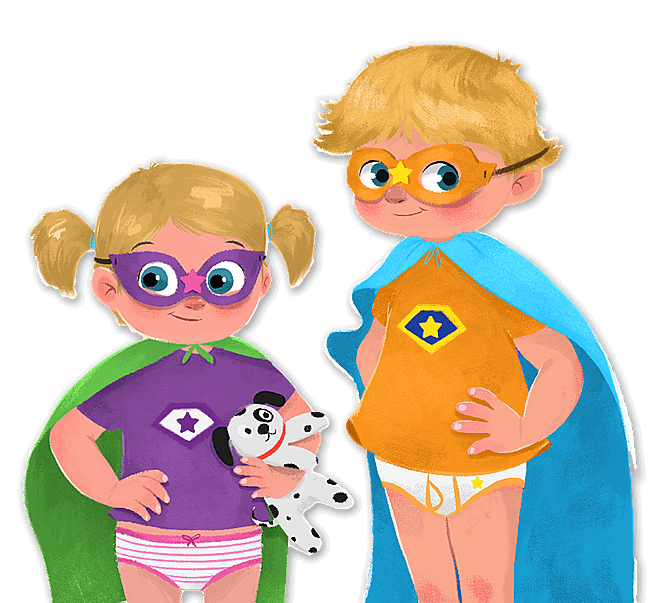 Read the storybook to get your child excited about their potty adventure. 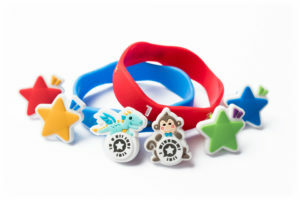 Reward your child for using the potty with Kudos for their band. The third Kudo is magical! Scan it with the app to watch it come to life. Spin the customizable reward wheel and win a reward for going potty. 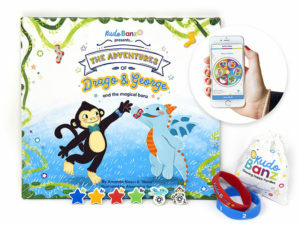 Join Sam and Ava on their potty adventure in the storybook, The Adventures of Drago and George and the Potty Party. Make parenting easier with Kudo Banz. 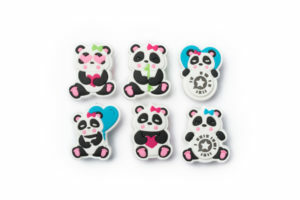 Sign up for our email newsletter for discounts, new products and more.